Appearing as small, raised skin patches rough in texture, warts are benign proliferations of the skin and membrane caused by human papillomavirus (HPV). Warts come in all shapes and sizes. Some examples are the common, flat, filiform or digitate, plantar, mosaic, genital, and the periungua wart. Warts may affect individuals of any race, but common warts emerge almost twice as frequently in whites as in blacks or Asians. Men and women get wart equally often, and at any age. Some warts are spread from person to person through physical contact, or from contaminated surfaces like shower floors and mats or sports mats. Increased exposure to contaminated surfaces or skin increases your chances of developing warts. You can even spread a wart to other parts of your body by picking at it. I Have a Wart. What Can I Do? Treating warts can be a challenging endeavor. Some warts require repeated, consistent treatment before any impact is made, while others disappear on their own just a few months after appearing. Treatment is available in the form of topical agents, surgery, phototherapy, injections, systemic agents; and alternative therapies such as hypnosis, tea tree oil, and adhesiotherapy (application of duct tape to suffocate the wart). The application of over-the-counter adhesive pads treated with salicylic acid is considered a highly effective treatment method with cure rates at 70-80%. Salicylic acid is also available in concentrated form. 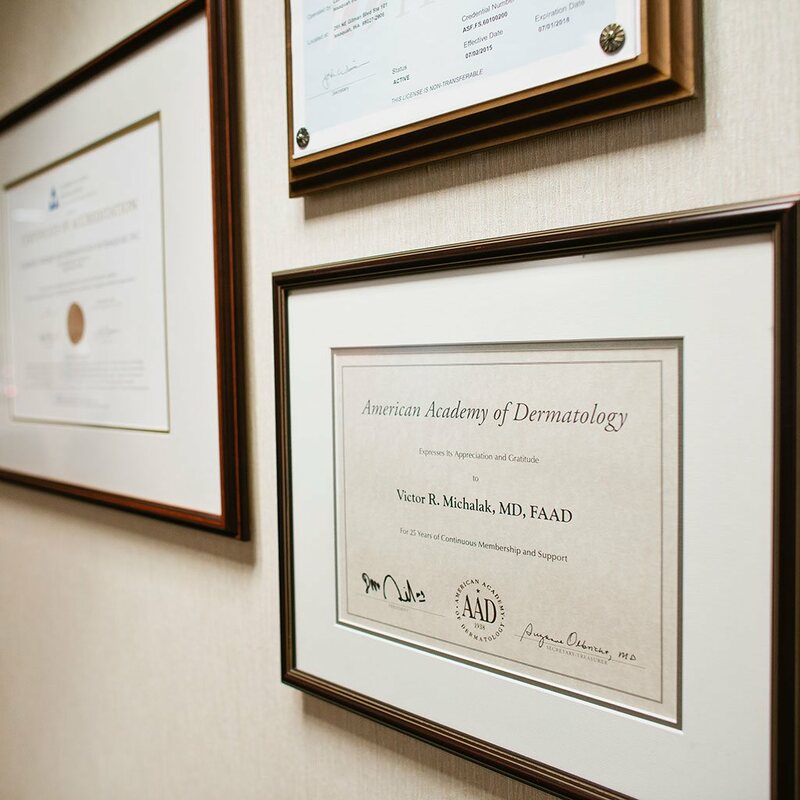 Surgical approaches include laser treatment for large, stubborn warts, as well as cryosurgery, electrodessication, and curettage. Cryosurgery in the form of liquid nitrogen is reportedly more effective than laser surgery for treating warts. During electrodessication, an electrical current is applied to the wart causing it to die. With curettage, a curette is use to scrape the wart away, a treatment that often leaves a scar. During photodynamic therapy, the photosensitizing drug 5-aminolevulinic acid is used in combination with a red laser. The light from the laser reacts with the drug, and the chemical reaction destroys the wart. If you are bothered by the appearance of your wart’s or any discomfort it may be causing you, we encourage you to give us a call to set up an appointment. Warts are common and affect individuals of all ages. Children often get warts which can be easily treated with cryotherapy. Our office is conveniently located in Issaquah, a short drive from downtown Seattle, Redmond, Bellevue and Renton.